LEXINGTON, Ky. (Aug. 13, 2014) — University of Kentucky biologist Jeramiah Smith studies salamanders and sea lamprey to find genetic clues to regeneration. 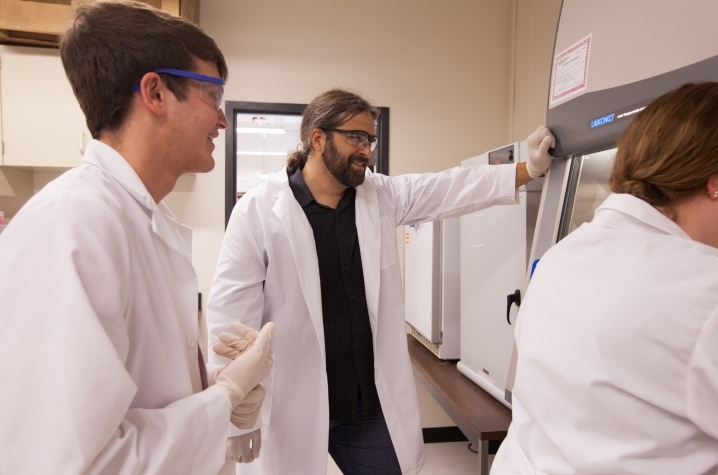 Smith works closely with colleague Randal Voss on sequencing the salamander genome. Both are in the Department of Biology in the College of Arts and Sciences. "It’s 10 times bigger than the human genome, even though it probably contains essentially the same genes as the human genome," he said. "So there are lessons that can be learned about how organisms deal with all the DNA they have by looking at sort of this extreme example in salamanders. It can provide an important perspective on what the ancestral genome looked like." 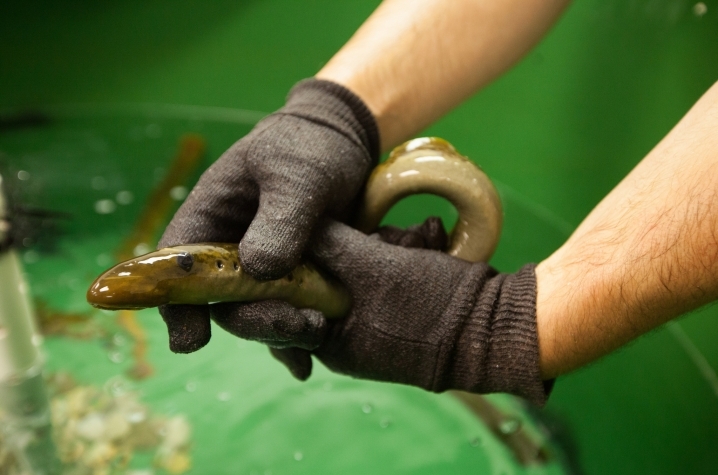 Like salamanders, sea lamprey can regenerate their spinal cord. "They’ll repair their spinal cord, and in five weeks the animal can swim perfectly," Smith says. "We think that this unique biology of lamprey can allow us a handle into identifying those specific cell types that are maybe set aside that permit regeneration. "The overarching goal is to begin to bring some of what we learn to application — human healing or human injury repair. Now that’s sort of always been the goal for probably close to a century. We know these animals heal, and we’d like to figure out how so we can heal better. You can think of this as several baby steps, too, in terms of identifying some of the factors that allow cells to create these special undifferentiated cell types that promote regeneration. "You have billions of cell divisions and all the cells, sort of by and large, do what they’re supposed to do. Understanding that complexity of life is really motivating to me to be able to appreciate how life does what it does. "One of the reasons why I like these genomes is that I just love the paleontology of it. If I had my choice of a career and didn’t have to think about paying for my kids’ school and all that stuff, I would probably be a paleontologist and dig for fossils. But really, genomics is almost as pleasing, if not more pleasing than that because by accessing the genomes of these animals, describing them, and then comparing them with other genomes that have been sequenced, you’re often the first person to know what was going on half a billion years ago. It’s sort of like the kid-in-the-dinosaur-museum thing."